Scarlet Hollow are back with a new single and a new album after a long hiatus, let’s rewind. October 30th 2012 the band release their soon to become critically acclaimed debut album “What If Never Was” in November just days after finishing the album Guitarist Gregg Olson had a massive stroke. Doctors told his wife and band vocalist Allison VonBülow that Gregg wouldn’t live past the first night. We were all horrified and in shock, thank goodness that was not the outcome. Fast forward to present day, after much physical therapy and rehabilitation Gregg and the band are back and better than ever with a new album due out before summer 2017. 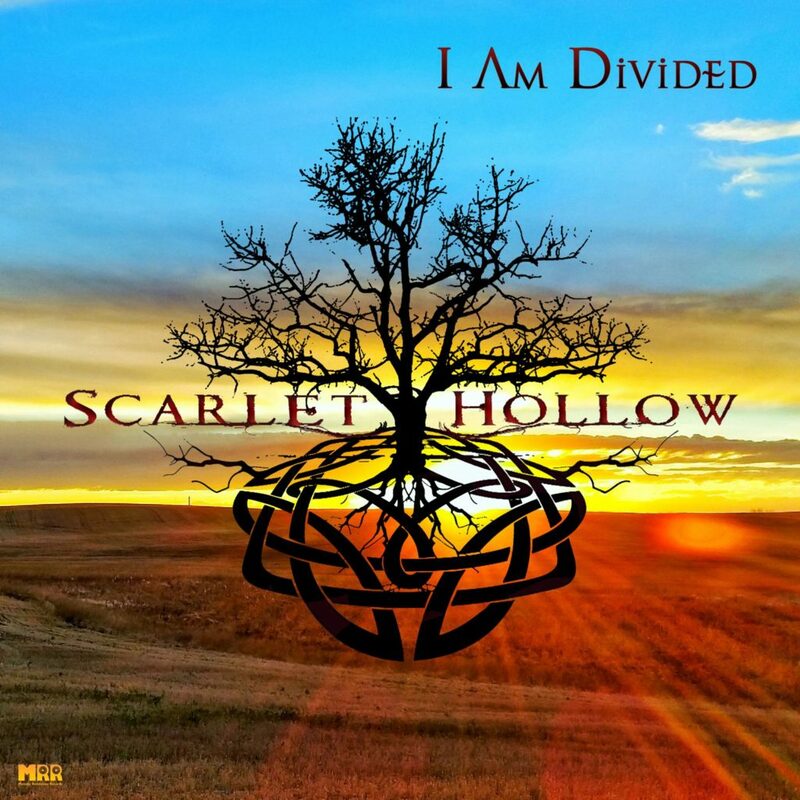 To celebrate the release of the upcoming album Scarlet Hollow and Melodic Revolution Records have decide to make the lead single “I Am Divided” available for FREE Download for a limited time. This is not a cheesy 192 or less bit toss away side track. This is the same HI Res 24 Bit Track that is on the upcoming album. So why is it free then? It is free for as a thank you for the years of support even while the band was off the grid it’s also a way to get people pumped about the upcoming album. We want you all to grab this track and share the link with your friends, family co-workers and anyone else that loves good quality music. Full album details including album name, artwork and full track listing will be released at a later date. Recorded, mixed and mastered by Gregg Olson @ The Alien Workshop Moorpark Ca.